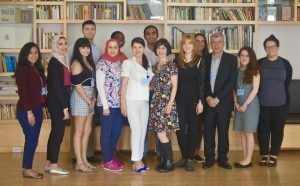 My experience at the Global Bioethics Initiative has been nothing but world class. After entering the glass doors of the gorgeous Bohemian National Hall in the Upper East Side of Manhattan I was kindly directed to the third floor. Dr. Krimsky of Tufts University was discussing CRISPR and the future ethical implications of this revolutionary gene editing biotechnology. We discussed lingering questions on the issue such as: rights of the unborn, unintentional DNA modifications, and the concern that if this technology becomes accepted globally in human embryos, will eugenics be the result? The group discussion could have continued for hours, but we had dinner plans with the United Nations Association. We made our way through the city to find a full soirée at the Hudson Terrace in Hell’s Kitchen. Amongst the UNA members, the attendees included physicians, professors, and experts in the field. Our group laughed, danced, and had the opportunity to discuss our professional goals with one another. 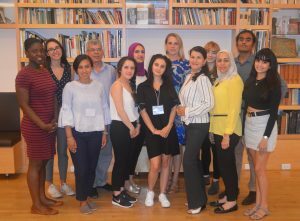 The driving force for me to attend the International Bioethics Summer School was my experience as a intern for the Palliative Care department at Bhakti-Vedanta Hospital and Radiation Oncology department at Stony Brook Medicine. 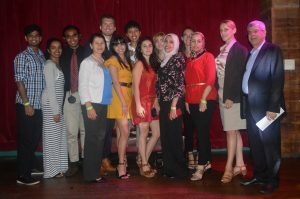 The summer program helped with my preparation for medical school as I intend pursue a career in medicine. 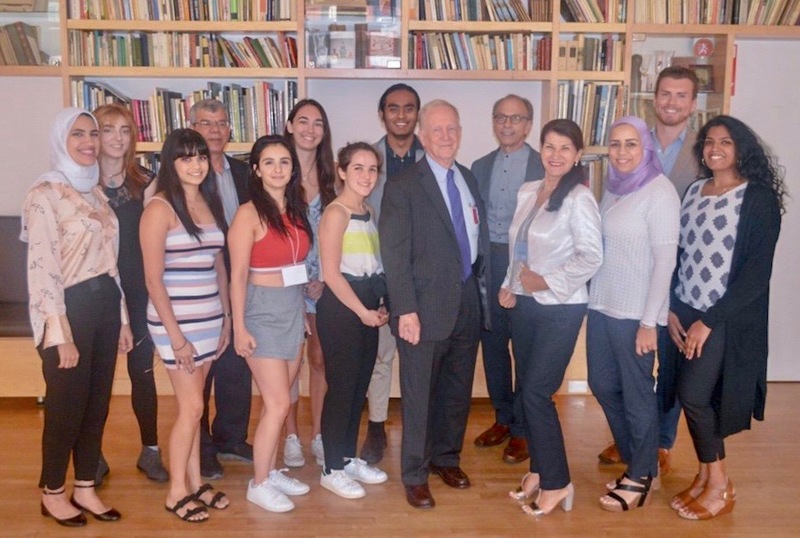 The summer school covered a variety of topics: the history of medical ethics/ bioethics, including nursing and healthcare reforms, reprogenetic technologies, and ethics of organ transplantation. Dr. Joseph Lowy, the Director of Palliative Care at NYU Langone Medical Centre, presented a lecture on End of Life Palliative Care and shared a riveting communication style that can be immediately adopted to solidify physician-patient relationship. In addition, I was interested in knowing the dynamics between a physician and his/her nurse colleague where Dr. Marie Claire-Roberts, Assistant Professor at Pace University College of Health Professions, elucidated the existing professional inequities that indirectly affect patient treatment.